In 2015, a large mink farm opened in the village of Madzerito near Stara Zagora. This event was met with great discontent by the public and, within a week, an online petition against the mink farm gathered 20,000 signatures. Despite these negative reactions, the farm started working. It is registered as the property of „Farmpro Ltd.“, owned by Angel Angelov, who is also the executive director of City Clinic, the main investor in the poultry farm „Gradus“ as well as „Biser Oliva“. Farming animals for their skin is unacceptable not only for animal rights activists but also for many citizens who consider the practice to be an unnecessary cruelty born of unhealthy addiction to what is perceived as ostentatious luxury. In the farms, the animals live in horrendous conditions which are unnatural for their species. Minks are territorial predators who do not allow competing members of their species to live closer than a few square kilometers away from them. In the farm near Madzherito, the animals are kept in cages about 50 cm wide. The small spaces, along with the presence of other minks, cause extreme neurological disorders to the animals. Symptoms such as uncontrolled running in circles within the cages can be seen in the video reports. There are also many cases of parents devouring their offspring. Female minks reproduce once a year. Usually, they give birth to 3 or 4 babies that are killed once they become 6 months old. Female minks live up to four years of age. Several methods are used to kill them – electric shock or gas chambers with carbon monoxide being the most common ones. There are many cases in which the toxic gas is unable to kill all of the minks and some of them wake up while being skinned. PETA has published video materials on this subject. In Europe, the farming of minks for their skin is gradually becoming illegal. The Bulgarian authorities have decided to turntheir backs to the world and allowed the opening of a mink farm. The first ban on farming animals for their fur dates back to 2000 in Great Britain. After that, Austria followed in 2004 and The Netherlands, the second largest manufacturer of fur in the EU, banned this practice in 2012 with a transitional period until 2024. Croatia banned fur farms in 2007 with a 10-year transitional period and Slovenia did the same in 2013 with a 3-year period. Other countries that have banned fur farms include Serbia, Bosnia and Herzegovina and the Republic of Macedonia. In 2017 Germany introduced stricter measures than those introduced back in 2009 effectively putting an end to the fur farms in the country. The opening of the mink farm near Stara Zagora was accompanied by the anger of animal rights activists. It broke many laws and the local administration kept its eyes widely closed. Fur farms bring a serious threat to the environment. The American minks which are bred in the farms are an invasive species in Europe and are currently in the process of being included in the list of invasive species forbidden for keeping and breeding in the European Union. In 2015, Spain forbade the farming of American minks because they represent a threat to the biodiversity of the country. According to the European Commission’s brochure on the matter, invasive species and plants are those species brought outside of their natural habitat by human beings. Most of them are unable to survive in the new habitat without human help, but some are able to adapt and damage the local ecosystems. EU data shows that there are 12,000 foreign species on the continent and about 10-15% of them are invasive. The American mink is one of them. There are two species of minks – the European mink (Mustela lutreola) and the American mink (mustela vison also called neovison vison). As their names suggest, the first one lives in Europe and the latter in North America. The European mink is an endangered species in Europe and is under special protection. The main reason for its almost total extinction is due to the hunting of its fur, along with the competition against the American mink for food, territory, and mating. The European mink is included in the red list of the IUCN, the International Union for Conservation of Nature, and is protected by the Bern Convention on the Conservation of European Wildlife and Natural Habitats, which Bulgaria has ratified. The Bern Convention on the Conservation of European Wildlife and Natural Habitats strictly prohibits the farming of European minks for business ventures. 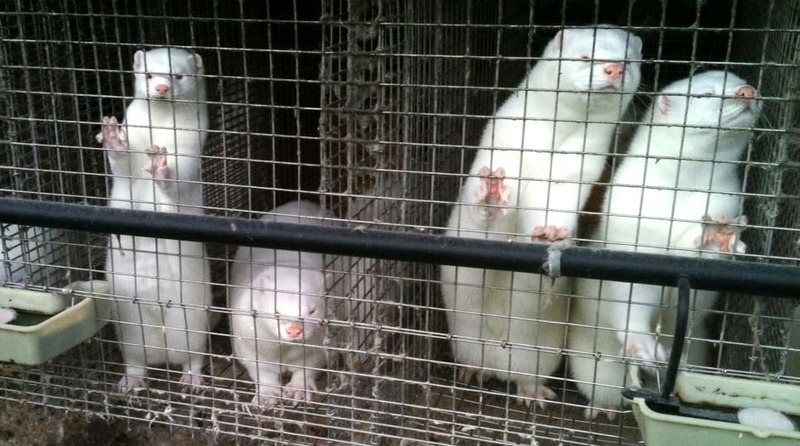 This is why fur farms use American minks. American minks were first brought to Europe for their skin. Some of these animals managed to escape the farms, spread across the continent and started to compete with the local mink. The American mink begins their breeding period a month earlier than that of the European cousin and, therefore, the males of the first kind breed with the European mink females. Another problem is that the American mink eats the eggs of ground nesting birds and endangers them also. Minks are carriers of the following viruses according to the European Centre for Disease Prevention and Control: H3N2, H10N4, N5N1. All these above dangers are being ignored by the two responsible Bulgarian ministries – The Ministry of Environment and Waters, along with the Ministry of Agriculture, Food, and Forestry, which have provided all the necessary permissions for the functioning of the farm. In 2015 Spain took steps to ban the farming of American minks, however, in the same year the farm near Stara Zagora received the blessing of RIOSV Stara Zagora (the local department of the environmental ministry) with permission to open without an environmental impact assessment. According to the Bulgarian Law on the Protection of the Environment, this assessment is mandatory for farms of a capacity of 40,000 chickens or 5,000 pigs. For all other kinds of farms, the local RIOSV decides on a case-by-case basis. The original permit issued for this farm was for 60,000 minks. Minks are predators that reside high in the food chain, higher than chicken as well as presenting a bigger danger to the environment. All around the world mink farms are directly linked to ground water pollution. The city of Kaustinen in Finland has completely ended using local water due to contamination by a mink farm. Surprisingly or not, these threats were disregarded by RIOSV which decided that no environmental impact assessment was necessary and issued a permit for mink farming failing to distinguish what species of minks they were allowing – the document stated „minks“, with no distinguish between European or American minks. There was of course no mention of the environmental dangers considering the invasive character of the American mink. The complaints of the environmentalists were ignored and it still remains unclear whether the staff of RIOSV Stara Zagora were either so incompetent as to be unaware of what species they were issuing a permit for, or that their incompetence had somehow been encouraged. But this is not all. The environmental ministry used its position of power in an unlawful manner to protect the farm. The first complaint against the farm disappeared in the ministry’s record keeping office. After being questioned about the current status of the procedure, the ministry invited the plaintiffs from the Bulgarian Vegetarian Society to send the missing complaint by e-mail. In the correspondence that followed, the Ministry asked for the complaint to be reduced to either a request for reviewing the environmental impact assessment or to a complaint against only the other ongoing breaches of the farm. After the plaintiffs pointed out irregularities on both accounts, the Ministry refused to accept the complaint at all because… it was not signed with an electronic signature. It was later discovered that the farm had no permit to use ground water, which meant it had no water source to cover its own sanitary needs and requirements. In response to these complaints, The Ministry of Environment and Waters answered stating that the farm would gain a permit in the future, and the Agricultural Ministry, which is responsible for sanitation, outright refused to sanction the farm. Even more shocking are the attempts of the Ministry of Agriculture, Food and Forestry to be helpful to “Farmpro” Ltd. The farm has been working for two years in breach of many regulations. The Ministry’s answer?, „We will change the regulations”. According to Bulgarian law, The Constitution is the most powerful law. Next come the international agreements, which Bulgaria is party to, followed by the national laws and regulations. In that sense, if the regulation only allows European minks to be farmed and the American minks are not listed, the latter may not be bred for fur. However, the farming of European minks is forbidden by the Bern Convention, which overrules the Bulgarian regulation where it contradicts the Convention, namely where it allows the breeding of European minks. Since the American mink is not listed in the regulation, it is not allowed for fur farming either. That is to say any farming of minks for their fur is completely forbidden in Bulgaria. Despite the official complaints, the farms continue their work. What is more, the deputy minister of Agriculture, Food, and Forestry, Tsvetan Dimitrov, awarded the farm’s owner, Angel Angelov, the “Agribusinessman of the Year” award in 2016. In August 2017, Tsvetan Dimitrov went even further and proposed a change in the regulation in question, particularly the part concerning minks – he now wants to allow the farming of American minks in Bulgaria by proposing an amendment of the said regulation on the grounds of „difficulties for the stakeholders in its application“. There is no consideration for the ecological and health dangers in his proposition. The draft of the regulation is currently in a procedure of public debate, the deadline being 3 September 2017. In his draft, Tsvetan Dimitrov proposes all texts that create problems for “Farmpro” and its mink farm to be removed. It is clear: the culprits now order their own laws. And this is happening while other European countries are banning fur farming. The current regulation also requires that live stock farms be situated at least 500 meters away from populated areas, other farms or main roads. The mink farm near Stara Zagora is near the crossing of the Trakia highway with the international road E85. The E85 road to Stara Zagora is part of the European road from Latvia to Greece. This closeness to the two main roads generates risks for the fast spreading of infections. When informed about this breach of the regulation, the Ministry of Food answered that the Bulgarian Law on Road Traffic mentions only first and second-class roads and that their own regulation is wrong with the terminology. They also refused to enforce it. The term “main road”, however, exists in Bulgarian law and the lawmakers definitely had concerns in order to implement a requirement for a distance of such farms from populated areas or from roads. The regulation also requires that fur and game farms may not be located within a certain distance from another animal farm. To the complaint that the farm is too close to another farm – Angel Angelov’s own poultry farm “Gradus”, which is located directly next to it, the ministry answered with silence. If the citizens were to follow the Ministry of Agriculture’s bright example in law enforcement, the next time they had problems with the regulations, they could just explain to the ministry how their regulations are wrong and therefore inapplicable. After all, if they can close their eyes for Angel Angelov, why not for you too? Maybe you will look just as sympathetic to them. Are we going to keep silence? The public discussion about the changes to the regulation proposed by Tsvetan Dimitrov is scheduled from the 3rd August until 3rd September. He wants to allow the farming of American minks without any mention of the ecological dangers and the invasive character of this species. Silently, the requirement for a minimum distance from populated areas and main roads or farms is being removed and there is no word of the danger of spreading viruses and infections. Everyone can get information about the current proposal and give their opinion on the portal for public discussions of the Ministry of Agriculture, Food, and Forestry until the end of August. A protest is being prepared in front of the Ministry of Agriculture in Sofia at the end of August. 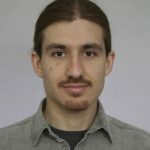 Petko Politov is an environmentalist and a member of the Bulgarian Vegetarian Society and the Bulgarian Vegan Union.